Palo Alto product a must see for celebrities. 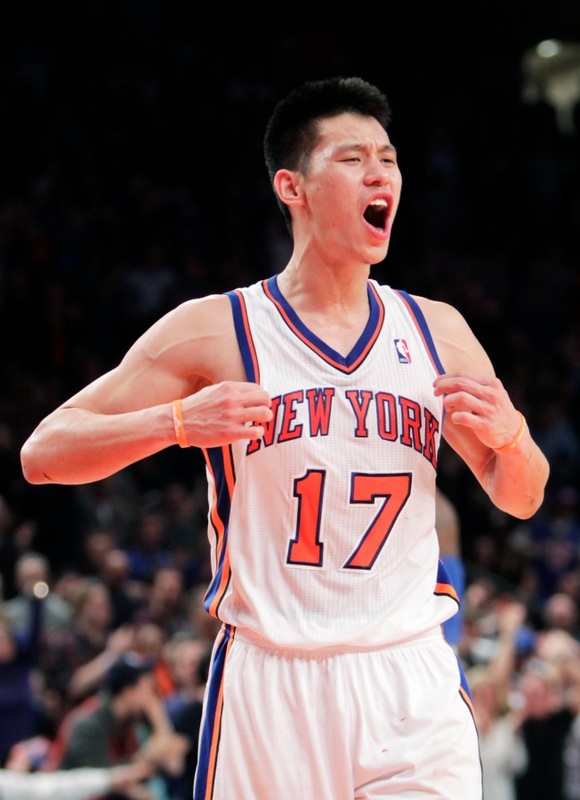 Jeremy Lin played at Palo Alto High and at Harvard University before bouncing around the NBA's D-League. Now he's the story of the 2012 pro basketball season. Three months ago, few people outside the Bay Area knew who Jeremy Lin was -- now he's the celebrity celebrities want to see. From musicians to actors to sports stars, they are all buying tickets to see the Knicks and, more specifically, the phenom from Palo Alto. Former Beatle Paul McCartney was in the crowd on Friday, according to the New York Daily News. Over the weekend, fans included Eva Longoria, Saturday Nigh Live's Seth Meyers, Kevin Costner and Facebook founder Mark Zuckerberg. Fellow Bay Area product C.C. Sabathia and San Francisco 49ers legend Jerry Rice were also spotted at games, along with R&B singer Mary J. Blige and former boxer Mike Tyson. Director Spike Lee, who attends a majority of Knicks games, has even donned replicas of Lin's high school and college jerseys (Harvard).